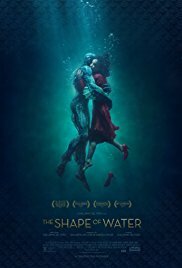 I had been eagerly anticipating Guillermo del Toro's new movie, and The Shape of Water didn't disappoint. It is a beautiful picture both visually and in terms of its story. It is fantastical, but in a more grounded way than Pan's Labyrinth, or even Crimson Peak, so it had a strong sense of reality amidst the fairytale theme. Stunning performances from the lead cast really captured the emotion of the piece. Once or twice I felt that the pace slackened a little, but that is a very minor complaint about a work that will certainly stand up to repeat viewings. A solid 4.5 stars from me.